Each year all children in Grenada Village are invited to a special Christmas Party. 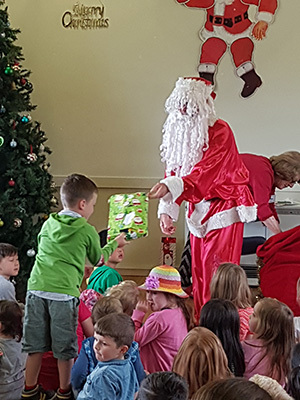 More than 60 children enjoy this exciting afternoon that includes: Father Christmas, clowns, food and drink, children's entertainer (magician), games, prizes, colouring competition, lolly scramble, balloons, sausage sizzle, and raffle. 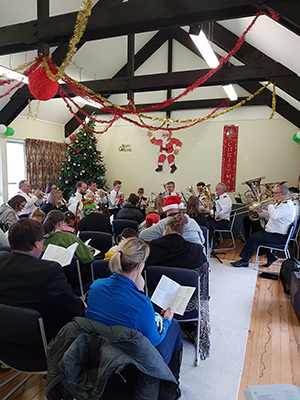 Each year all residents are invited to participate in Christmas carol singing in the community hall. The evening is interdenominational and is especially enjoyed by children. A light supper and Christmas cake is provided afterwards by the Association. The financial year of the Association is from 1 October to 30 September. The Annual General Meeting of the Association is held in November in the community hall at 4 Mandeville Crescent, Grenada Village and all residents are invited to attend. The Association often organises other activities during year for residents.